Kutama, Zvimba district, Zimbabwe (then Southern Rhodesia). Robert Gabriel Mugabe was born on 21 February 1924, in Katama, a Jesuit mission station in the Zvimba district, about 60km from Harare. He was the son of Gabriel Matibili, a migrant worker from Nyasaland (Malawi) who had been trained as a carpenter by the Jesuits. His mother, Bona, belonged to the Shona ethnic group and taught Christian catechism to village children at the Jesuit mission. Mugabe had five siblings namely: Raphael, Michael (Miteri), Donald (Dhonadhe), Sabina and Bridgette. Around 1930, after the expulsion from the mission by the Jesuits, Mugabe’s family settled in a village about seven miles away, but Robert and siblings were allowed to continue with their education. Around the same time, Robert’s oldest brother, Raphael died of suspected diarrhoea. A few years later in 1934, Robert’s much-loved older brother, Michael, died at the age of 15. It is suspected that he died after using an insecticide container to drink water. The death greatly affected the family and Mugabe in particular. His father abandoned the family and went to Bulawayo after this incident when Robert was 10 years old. In Bulawayo, Mugabe’s father remarried and abandoned supporting his family. Mugabe became the oldest child in the depressed family. Father Jerome O’Hea (the village’s Anglo-Irish headmaster) became Robert’s surrogate father and nurtured his talents. Robert Mugabe also grew very close to his mother, becoming her favourite. Usually friendless, Robert Mugabe spent most of his time on his book, attracting much sarcasm from his siblings and other village children but gaining much favour and adoration from his mother, missionaries and teachers. In his little play time, he played tennis which he seemed to enjoy and good at. However, the few times he lost would frustrate him, leading to immediate self-isolation. As the children teased him mercilessly, Robert became defiant and presumably angry and stuck to his ideas. After completing six years of elementary education, in 1941 Mugabe was accepted at Kutama’s St. Francis Xavier college, graduating in 1945 as a trained teacher. After graduating, he worked at a number of schools for example, Dadaya Mission in Zvishavane (then Shabani), where he met Ndabaningi Sithole. In 1949, he got a scholarship to the University of Fort Hare in South Africa. While there, he joined the African National Congress (ANC) and participated in some political discussions. He graduated with a Bachelor of Arts degree in History and English in 1952 and in the same year, went back to Zimbabwe (then Rhodesia). Mugabe taught at the Roman Catholic Mission school, Driefontein which is in Mvuma. In 1953, he was at Highfields government school in Harare (then Salisbury) and in 1954, he was at Mambo government school in Gweru (then Gwelo). By then, he had attained his Bachelor of Education degree through correspondence with the University of South Africa (UNISA). Mugabe had also joined some inter-racial groups like the Capricorn Africa Society. Mugabe moved to Zambia (then Northern Rhodesia) in 1955 and taught at Chalimbana Training College in Lusaka for four years. While there, he was studying towards his Bachelor of Science degree in Economics with the University of London through correspondence. He then moved to Ghana and taught at St. Mary’s Teacher Training College, where he met Sally Heyfron, his would be first wife whom he married in February 1961. While there, in 1958 Mugabe completed his economics degree. Mugabe became involved in nationalist politics in the late 1950s. In Ghana, Mugabe took himself as a Marxist and supported the Ghanaian government’s goal of providing equal educational opportunities to the previously disadvantaged societies. Robert Mugabe rose to prominence in the 1960s when he became influential in Zimbabwean nationalist politics. In May 1960, he took leave and returned to Harare (then Salisbury) with an intention to introduce Sally to his mother. During this visit, he came across new realities that had manifested in the country during his absence. Many black families had been displaced and dispossessed, majority rule was denied, leading to violent protests by the blacks. Mugabe sympathised with the afflicted and in July 1960, he agreed to address a crowd at the protest march of 7,000 people that was staged at Harare (then Salisbury)’s town hall popularly known as Stoddart Hall. This protest was against the arrest of nationalist leaders like his friend, Leopold Takawira. Using the Ghana example, Mugabe advised the gathering to embrace Marxism in the fight for independence. His appearance and speech paved way for his appointment as the National Democratic Party (NDP)’s publicity secretary in October 1960. Following the Ghanaian model, Mugabe assembled a militant youth league to mobilize for black independence in the colonized country. The NDP was banned by the colonial government and some of its leaders were imprisoned. Following the ban, in December 1961, Mugabe and the remaining leaders, under the leadership of Joshua Nkomo, formed the Zimbabwe African People’s Union (ZAPU) whose membership rapidly grew to about 450,000. In the leadership of Nkomo, ZAPU launched a diplomatic offensive negotiating for independence. Mugabe and others were frustrated by the lack of progressive outcomes and by April of 1961, Mugabe publicly discussed starting a guerrilla war. In September 1962, Mugabe and others were arrested and restricted to their homes for 3 months. Mugabe was charged with making subversive statements in public and was given bail awaiting trial. Following differences in ideologies and a struggle for power, ZAPU split in 1963. Mugabe and others founded the Zimbabwe African National Union (ZANU) in Tanzania in August 1963. Ndabaningi Sithole became the president and Mugabe the secretary general. On his return to Rhodesia from Tanzania in December 1963, Mugabe was arrested and tried between January and March and he refused to retract the subversive statements he had made. In March 1964, he was sentenced to 21 months imprisonment and then later on imprisoned indefinitely after his suspected involvement in some guerrilla attacks against the government. Mugabe was imprisoned at Salisbury prison, then Hwahwa Prison near Gweru (then Gwelo). He was then moved to the Sikombela Detention Centre in Kwekwe (then Que Que) and then to Harare (Salisbury) Prison. While in Harare, he shared a prison cell with nationalists like Ndabaningi Sithole, Enos Nkala and Edgar Tekere. In 1964, while in prison, Mugabe used secret communications to advance guerrilla operations for liberation from colonial rule. Although in prison, Mugabe continued with his education through correspondence and attained some degrees. He also spent some of his time educating fellow prisoners. Around 1964, ZANU and ZAPU loyalists fought against each other in townships and in August 1964, they were banned by Ian Smith’s government. While in prison, Mugabe’s son Nhamodzenyika who had been taken to Ghana by his mother died at the age of 3 and Mugabe was refused to go and morn with his wife. While in prison, Mugabe is elected to lead ZANU after a vote of no confidence on Sithole who was accused of selling out the struggle. Mugabe was released in November 1974 after Rhodesia was pressured by South Africa to advance the process of détente with the politically moderate governments of Zambia and Tanzania. He had spent about 11 years in prison. In March 1975, Mugabe together with Edgar Tekere and assisted by Chief Rekai Tangwena, went into exile. Mugabe was moving to and fro guerrilla bases in Mozambique and Zambia and by 1977 he had gained trust and loyalty from the commanders of ZANU’s military wing, ZANLA. By 1977, he had gained full control of ZANU’s political and military thrusts and embraced and implemented Marxist and Maoist ideologies, prompting training and arms donations from Asia and Eastern Europe. However, he maintained good relations with Western donors especially Britain which was against Ian Smith’s 1965 unilateral declaration of independence (UDI). A number of conflicts and power struggle erupted during Mugabe’s leadership but he managed to control them. In 1977, he imprisoned his former second-in-command, Wilfred Mhanda (Dzinashe Machingura, popularly known as Cde Dzino) for suspected disloyalty. Mugabe is also suspected to have had a hand in the death of the ZANLA military commander, Josiah Magama Tongogara who died in a car accident in 1979. Robert Mugabe was one of those African nationalists who shunned the 1978 accord between some so called moderate black nationalists like Bishop Abel Muzorewa and Ndabaningi Sithole and Ian Smith’s government that gave rise to Zimbabwe Rhodesia, with Muzorewa as Prime Minister. In 1979, Mugabe was one of the key negotiators in the British-brokered Lancaster House Agreement that brought the major parties together to negotiate majority rule and allow for an election. This political pact marked an end to colonial rule. Due to irreconcilable differences, nationalist parties failed to field a single candidate and contested the elections as different parties. During the campaign to elections, Mugabe survived two assassination attempts, one on the 6th of February when a grenade was thrown at his Mount Pleasant home and the other on the 10th of February when a roadside bomb exploded near his motorcade as he left a Victoria Falls (then Fort Victoria) rally. In 1987, Mugabe invited ZAPU to be merged with the ruling ZANU in what became known as the 1987 Unity Accord, leading to the formation of ZANU-PF and consequently created a de facto one-party authoritarian state. On 30 December 1987, Mugabe became the Executive President of Zimbabwe after making some constitutional amendments, taking over from the ceremonial president, Canaan Banana. Since the constitution had abolished the Prime Minister post, Mugabe became the head of state, the head of government and the commander-in-chief of the armed forces. Mugabe restructured and repaired the country’s failing economy. In 1989, he set out to implement a five-year plan, which removed government controls on prices for farm products. In the January 1992, Mugabe became a widower following Sally’s death due to kidney failure. In August 1996, he then officially married and wed Grace Marufu, who is suspected to have been his mistress even when Sally was alive. His two children, Bona and Robert Jnr were born in 1988 and 1990 respectively, well before the publicised wedding. His last born is Chatunga Bellarmine. By 1994, at the end of the five-year period, the economy had seen some growth in the farming, mining and manufacturing industries. Mugabe’s government also built clinics and schools for the black population. By 1996, Mugabe’s decisions had begun to be unpopular and uncomfortable to citizens, creating an image fast moving away from the earlier heroic image. In January 1998, Mugabe deployed the army to restore order after food riots broke out. Following his 1996 appointment as Chair of the defence arm of the Southern African Development Community (SADC), in August 1998, Mugabe sent Zimbabwean troops to defend Laurent Kabila in the Democratic Republic of Congo’s civil war. This led to Zimbabwe’s economic downfall as the war became more and more expensive for the nation. In the same year, he appealed to Britain to donate money for land distribution but money was promised on the condition that Mugabe devises an acceptable program for helping Zimbabwe’s impoverished rural economy. Mugabe refused these conditions. Mugabe’s relations with citizens and other stake-holders in the country’s governance also deteriorated. From the mid-1990s, he had to deal with massive nationwide demonstrations against the deteriorating economy and living conditions, which were largely led by workers’ movements especially the Zimbabwe Congress of Trade Unions (ZCTU) and students. Mugabe failed to contain these oppositional voices and actually became aggressive and adamant to them, leading to an all people’s convention that gave rise to the formation of the Morgan Tsvangirai led MDC party in 1999 whose strength was tried and tested during the 2000 constitutional referendum. In the February 2000 constitutional referendum where Mugabe and ZANU-PF campaigned for a ‘Yes’ vote in adopting the constitution, the ‘No’ vote which was campaigned for by the Tsvangirai led MDC, a number of opposition political parties and most civic organisations was victorious. In the same year, Mugabe further strained relations with the West when he passed a constitutional amendment that required Britain to pay reparations for the land it had seized from blacks and promised compulsory land takeovers should Britain fail to pay. Previously, Mugabe had been using the willing seller-willing buyer approach to distribute land to the landless. In actions motivated by vengeance and a quest for political relevance after the referendum defeat, Mugabe encouraged a radical, violent and unconstitutional occupation of white-owned farms and attacks on opposition parties especially the MDC. These actions were carried out by Mugabe’s created forces that were led by the ‘war veterans’ and a paramilitary group popularly known as green bombers/Border Gezi which had been trained in the name of National Youth Service (NYS). This led to further economic collapse, runaway inflation and a political and humanitarian crisis that continues to date. Thus, in the aftermaths of the referendum, Mugabe and his party used political chicanery and unfair practises in preparation for the 2002 elections which were marred by violence and direct and indirect disenfranchisement of the opposition. He won the 2002 presidential election. His victory which was suspected to be a result of unfairness attracted an arms embargo and other economic and travel sanctions from the European Union, leading to further economic collapse and hyperinflation. Some African countries like Botswana also became very critical of Mugabe and his governance. Mugabe and his party continued to win elections, but the victories were largely contested. On March 29, 2008, when he lost the presidential election to Morgan Tsvangirai, leader of the opposing Movement for Democratic Change, Mugabe was unwilling to let go off the reins. This became a historic moment as it marked Mugabe’s first ever clear and officially acknowledged defeat. However, the official results that came out after about five weeks of waiting gave way for a runoff election, the first of its kind in Zimbabwe, on the 27th of June. During the period leading to the runoff, MDC supporters were being violently attacked and killed by Mugabe’s foot soldiers and fear gripped both urban and rural communities. Thus, thousands of MDC supporters were injured, thousands displaced and dispossessed and more that 153 brutally killed. The violence against the opposition and Mugabe’s declaration that the pen can never defeat the gun made Tsvangirai withdraw from the race, leading to a solo contest by Mugabe. After the intervention of the international community in negotiations that were led by the neighbouring South Africa through Thabo Mbeki and then Jacob Zuma, Mugabe reluctantly agreed to share power with opposition parties. This gave rise to the Government of National Unity (GNU), whose mandate was to stabilize the country, provide healing to the nation, and prepare for and implement reforms necessary for the next elections. That September, Mugabe and Tsvangirai agreed to a power-sharing deal. However, by 2009, about 4 million of Zimbabweans, mostly the young, professionals and skilled had left the country, with most of them getting into South Africa. Ever determined to remain in control, Mugabe still managed to retain most of the power by controlling security forces and choosing leaders for the most vital positions. In 2010, he unilaterally selected provisional governors and made other crucial appointments. Even after the creation and adoption of a new constitution in March 2013, by election time in 2013, Mugabe and ZANU-PF had not yet implemented security sector reforms and a lot more of the provisions of the new constitution. In the 2013 elections, Mugabe who was 89 years old officially won the vote with 61% of the vote while Tsvangirai had 34% of the total vote. Throughout the years, Mugabe has managed to suppress the succession debate. However, this debate has taken an ugly face in the last recent years, creating a number of ZANU-PF fissures, expulsions and factions. One can give examples of the Gamatox vs Weevils and the Lacoste vs G40 factional divisions. In contexts related to the succession debate, in December 2014, Mugabe fired his Vice President, Joice Mujuru accusing her of organising to overthrow him. In November 2015 he expressed intention to run for re-election in 2018 at the age of 94. In February 2016, Mugabe made it clear that he had no plans for retirement and would remain in power until he felt he can no longer continue. This was further buttressed by his wife, Grace who appeared on national television saying that Mugabe would rule from the grave. In February 2017 after his 93rd birthday, Mugabe was given a wheelchair by some of his ministers as a birthday gift. Earlier on, his wife had indicated that Mugabe would rule from a special wheelchair. Having been the Prime Minister of Zimbabwe from 1980 and the President from 22 December 1987 to date, Mugabe has become one of the world’s longest serving presidents as well as the world’s oldest president. So far Robert Mugabe has had seven (7) Vice Presidents since the time he attained the presidency on 22 December 1987. These are as follows: Joshua Nkomo (1987–1999), Simon Muzenda (1987–2003), Joseph Msika (1999–2009), Joice Mujuru (2004–2014), John Nkomo (2009–2013), Emmerson Mnangagwa (2014–) and Phelekezela Mphoko (2014–). He also had one Prime Minister, Morgan Tsvangirai (2009–2013). Mugabe’s long rule has been characterized by mixed feelings and a number of complexities. Some regard him as a hero who has won the hearts of many Zimbabweans and Africans while others see him as a dictator whose rule has been characterised by gross human rights abuses. While others regard his rule as a positive move against coloniality and western big-brotherhood, some regard him as a blasphemous ruler who has led Zimbabwe into the abyss through greed, corruption, bad governance and the creation of a personality cult around himself. In November 2017, various military and ZANU-PF leaders pressured Mugabe to resign. He did so 21 November 2017. Mugabe did very well in his tertiary education and attained a number of degrees across different fields of study. He also received a number of honorary degrees and awards. Mugabe has also occupied party, national, regional, continental and international official positions. 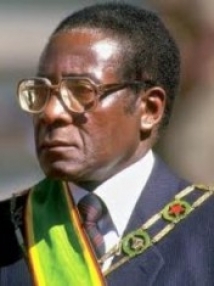 Robert Mugabe got a Bachelor of Education degree with the University of South Africa, Bachelor of Law with the University of London External Programme, Master of Laws with the University of London External Programme, Master of Science with the University of London External Programme, Bachelor of Science with the University of London, Bachelor of Arts with the University of Fort Hare and Bachelor of Administration with the University of South Africa. His honorary degrees include; Honorary Doctor of Laws with the University of Zimbabwe, Honorary Doctor of Laws with the University of Michigan State, United States of America, Honorary Doctor of Laws with the University of Morehouse, Honorary Doctor of Laws with St Augustine College of South Africa, Honorary Doctor of Laws with the University of Moscow, Honorary Doctor of Laws with University of Solusi, Honorary Doctor of Commerce with the University of Fort Hare, Honorary Doctor of Literature/Letters with the University of Africa and Honorary Doctor of Laws with the University of Ahmadou Bello, Nigeria. This is an incomplete list of the awards that Robert Mugabe received; Order of Jamaica, Olympic Order of Gold for Eminent Contribution to Olympic Ideals, The Jawaharlal Nehru Award and Africa Prize for Leadership for the Sustainable End of Hunger | Hunger Project US. To date, Robert Mugabe has served or is serving on a number of national, regional, continental and international offices. These include; Chairman of the African Union from January 2015 – present, Chairman of the Frontline States from 1992 – present, Chancellor of all state universities from 1990 – present, Deputy Chair of Southern African Development Community, Deputy Chair of the African Union 2014 – 2015, Chairman of the Organization of African Unity 1997 – 1998, Chairman on Politics and Security, Organization of Defence in the South African Development Community 1996 – 2001. He also has been Chairman of World Solar Commission, South Africa 1995 – 2005, Chairman of the Commonwealth Heads of Government Meeting 1991 – 1994 and Secretary General of the Non-Aligned Movement September 1986 – September 1989. • Blake, R. A. (1977). A History of Rhodesia. London: Eyre Methuen. • Chung, F. (2006). Re-living the second Chimurenga: Memories from the liberation struggle in Zimbabwe. Stockholm: The Nordic Institute & Weaver Press. • Holland, H. (2008). Dinner with Mugabe: The Untold Story of a Freedom Fighter Who Became a Tyrant. London: Penguin. • Kriger, N.J. (2003). War veterans: continuities between the past and the present, African Studies Quarterly, vol. 7, no. 2-3, pp. 139-152. • Maroleng, C. (2005). Zimbabwe: Increased securitisation of the state? ISS Situation Report, vol. 7. • Mawere, T. (2016). Decentering Nationalism: Representing and Contesting Chimurenga in Zimbabwean Popular Culture, PhD Dissertation. Cape Town: University of the Western Cape. • Mhanda, W. (2011). Dzino: Memories of a freedom fighter. Harare: African Books Collective. • Muzondidya, J. (2009). From buoyancy to crisis, 1980-1997. In Brian Raftopoulos & Alois Mlambo (eds. ), Becoming Zimbabwe: A history from the pre-colonial period to 2008. Harare: Weaver Press, pp. 167-200. • Nkomo, J. (2001). Nkomo: the story of my life. Harare: Sapes Books. • Raftopolous, B. and Mlambo, A. S. (2009). Becoming Zimbabwe. Harare: Weaver Press. • Sachikonye, L.M. (2011). When a state turns on its citizens. Institutionalized violence and political culture. South Africa: Jacana Media. • Sithole, M. (1999). Zimbabwe: struggles within the struggle, 1957-1980. Harare: Rujeko publishers. • Tekere, E.Z. (2007). A lifetime of struggle. Harare: Sapes Books. • Vambe, M.T. (2012). Zimbabwe genocide: voices and perceptions from ordinary people in Matabeleland and the Midlands provinces, 30 years on, African Identities, vol. 10, no. 3, pp. 281-300.